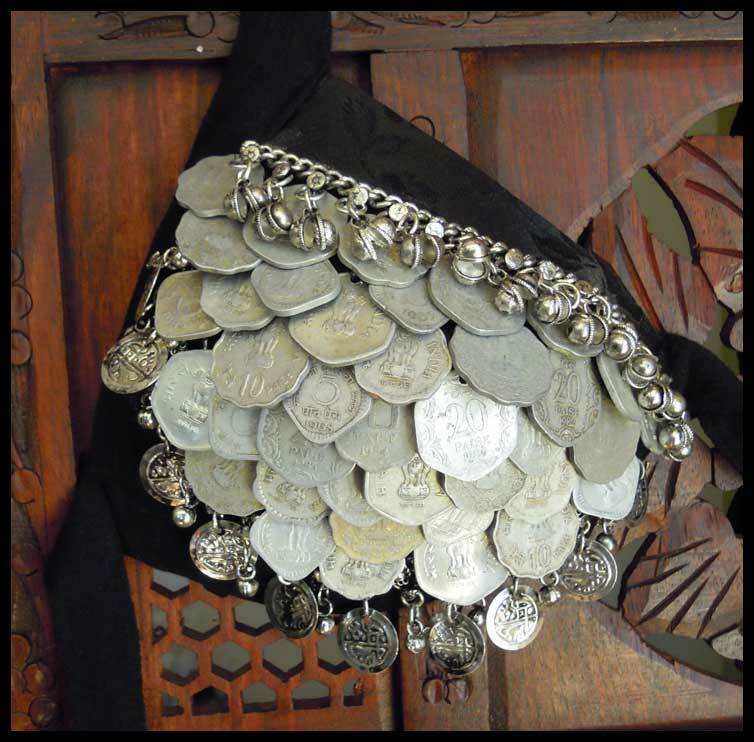 The traditional (circa 1995 San Francisco) Tribal Coin Bra did not make its first appearance covered in coins- We were all DIYers and eager to make a wearable bra in a short time, so we took it in stages! 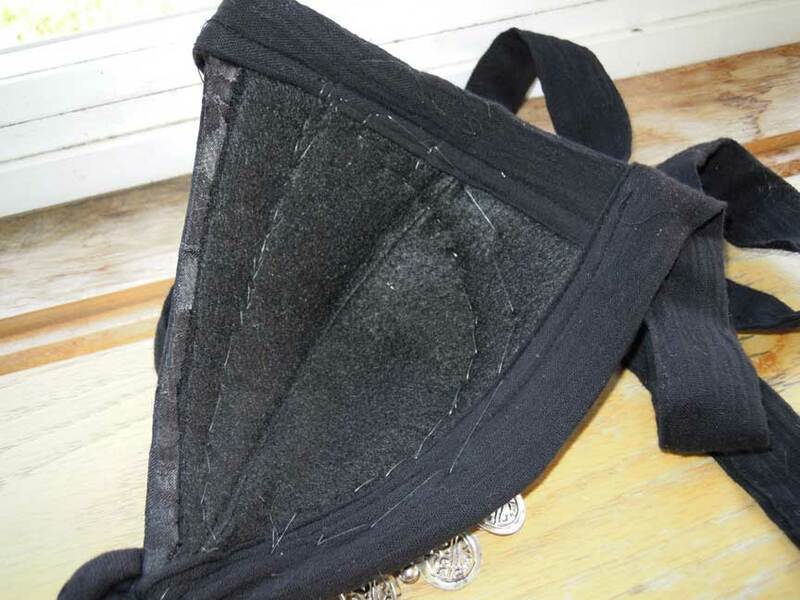 An emerging Coin Bra started with a pleasing outline, as I have here. 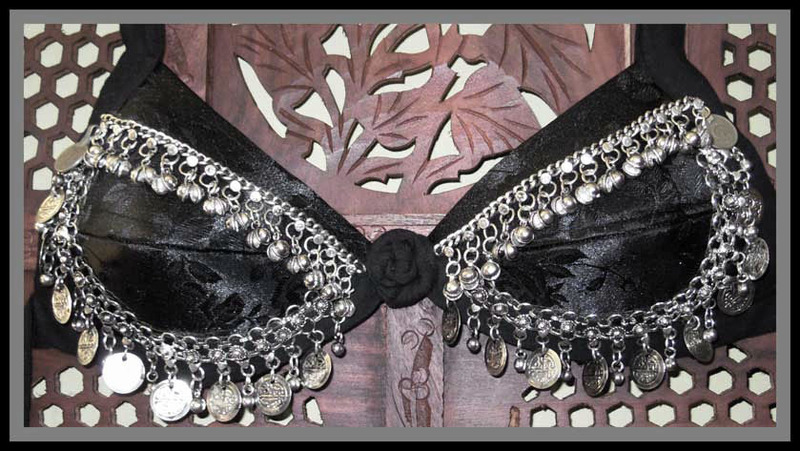 Ready to wear as is, but not necessarily finished; the bra would gain more complexity and coin coverage from performance to performance! Or not, depending on the resources and ambition of the crafter! The hardest part is getting started, and I have done that for you! So dig out that hoard of special coins and Kuchi pieces, and create something amazing- a little at a time! I use easy to sew thru, sturdy buckram and felt construction. 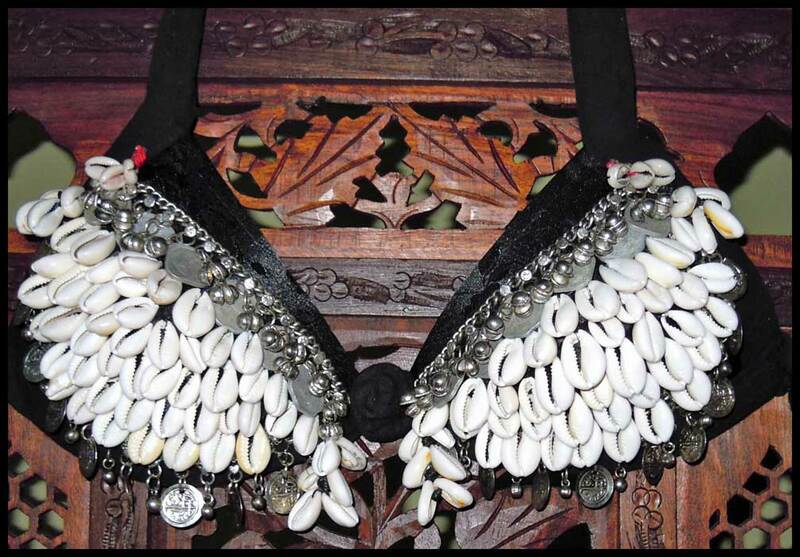 I've also offered the option of 2 completely covered versions, one covered in coins, one covered in cowries! Color Black brocade, lined in black felt, long cotton ties, great for adjustable but secure fit. Handcrafted after I receive your order, ships in about 7-10 business days.